Nope, it wasn't. 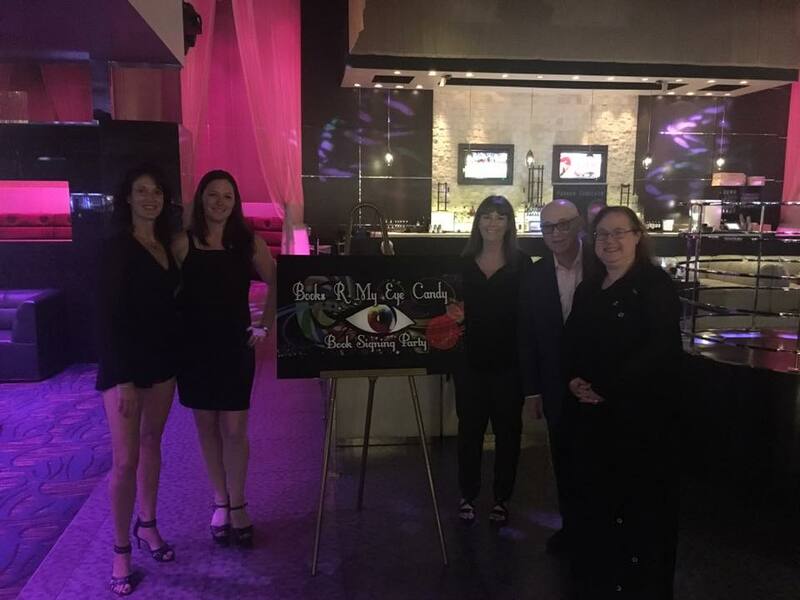 Eye Candy at the +Mandalay Bay Resort and Casino coupled with the #goIndie authors at Books R My Eye Candy. Thank you very much for a chance to hangout in great company. 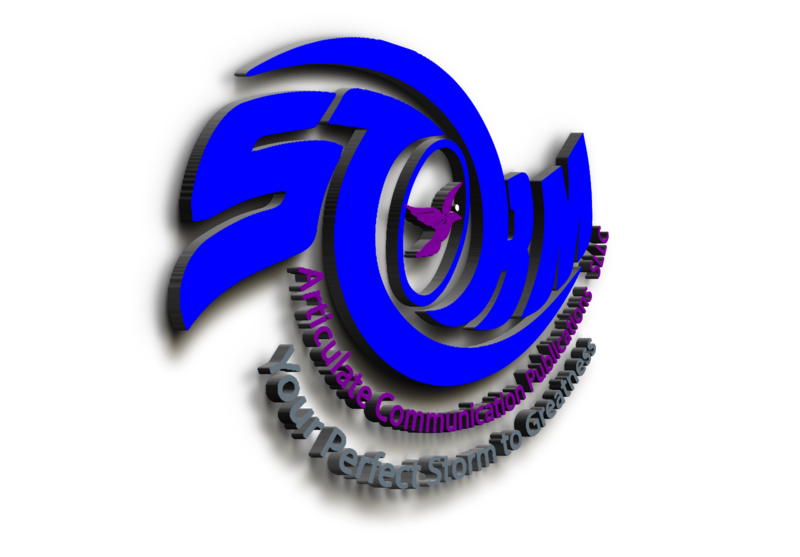 In +Articulate Communication Publications, SLLC world is revolving around another project release. "Simplicity of the Biblical Sanctuary" - scheduled for release this week. Yep this makes three (3) this year. Looking forward to four (4) which equals one a quarter making this a stellar year. Wednesday, October 26, 2016 8:00 AM – 6:00 PM PST on the Facebook platform we are hosting our Bi-Annual event. You are invited. Come back Wednesday for information on our latest project. You have complete permission to share. In fact, we encourage this behavior. “My mother is a retired Professor who taught Writing/English. There were strict, unwritten rules regarding English in our home (i.e. reading, writing and homework) but especially speaking clearly and enunciating. So, let us fast-forward 25+ years to getting married and having my husband abruptly taken from me during an ATM robbery. I needed and finally accepted emotional therapy where I dealt with the anger, pain and grief surrounding this pain of being a 29-year old pregnant widow. Finally, 11 years after Eddies’ death, I decided to pursue what always soothed my soul – writing. I stopped running from it and embraced it with fervor. So technically, my writing career pursued me. When I finally stopped running and gave in to its healing powers, I published my first book in June of 2013. Tell us, have you ever had a particularly harsh critique? 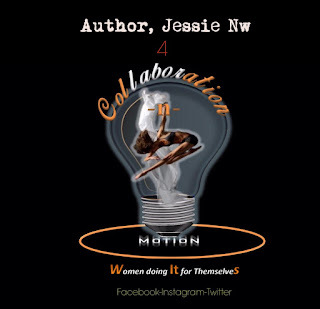 Jessie Nw- “Who does your editing?” The author answers candidly. How did I handle it? I added an editor to the process of publishing. I now have three editors go over the product before it goes live. WADIFTS- Love your attitude-very professional. I see that you “eat the meat and spit out the bones,” remaining focused on the task at hand. Any advice for fellow authors? 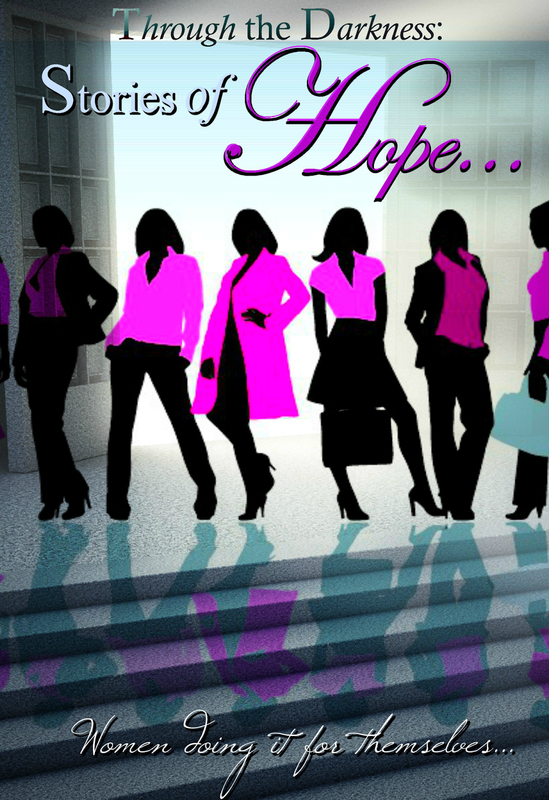 Jessie Nw- My advice for authors is do not ever think you are in competition with anyone. No matter how many books you write a true reader will want more. You may be their favorite writer but even if you put out a book a day, it wouldn’t be enough. A true reader is going to find something to read. So take your time put out a great product, make your book the one they come back to over and over again. Setting yourself as a competitor against someone who can never be you is ridiculous. The best part is you are not them either. WADIFTS- Speaking of “Over and Over again,” what book or series do you enjoy reading over and over again? Jessie Nw- The Great Controversy it keeps me in tune with my ultimate goal. WADIFTS- If you could choose an author to be your mentor, who would it be? Jessie Nw- This is such a hard question… John Grisham has a flare I would like to mimic, but Nora Roberts seems to have an imagination unmatched. I believe my imagination and equally distinctive style (urban dialectic similar to bougie black) will rock the market. Quid-pro-quo? - If you were stranded on a deserted island, and you could only have five books with you, what would they be? WADIFTS- What are you working on now? Jessie Nw- Recently I lost sixty percent of my sequel in The Solomon Sisters series. WADIFTS- That must have been devastating? Jessie Nw- I refuse to release the first book of my next series about our infamous egomaniac who keeps killing people… When this person wants a promotion, someone gets in his or her way. There is always a solution. Then there is another promotion so now what? WADIFTS- What is the best compliment you've ever received as an author? This said to me, that they read the book; it bugged them enough to send me an email. The book stuck with them enough to cause action...success. WADIFTS- Have you ever gotten an idea for a story from something really bizarre? Tell us about it. Quid-pro-quo- Are you a pantser or outliner? Jessie Nw- A panster all the way. I have a set of stories in my head and I see the outcome. Then I write, sometimes it works out. Other times it sits on my computer until I pull out a page or two and another story envelopes it. WADIFTS- I certainly can relate to your process! How many books do you have on your "to read" list? What are some of them? WADIFTS- Wow! 1189? Anyone needing a review better get on the list now! Do you have anything specific you'd like to say to your readers? OUR INSPIRATION Collaboration In Motion (#CIM) was established in 2016 by a group of women inspired by HOPE. "I could tell it was fake because it never once reached her eyes"
Amber McCarty- Well, I get what you might call a writing “itch”! And, when I get that “itch” I just have to write, no matter what the genre. I would, however, like to try non-fiction because generally that is a teaching genre that I can learn something new from. So writing in that genre would give me the opportunity to teach someone something new. Amber McCarty- Living or dead; I’d have to say, I would choose Laura Ingles Wilder. Her writing was always something that intrigued me. WADIFTS- quid pro quo- If you were stranded on a deserted island, and you could only have five books with you, what would they be? WADIFTS- What book or series do you enjoy reading over and over again? Amber McCarty- I will say, the romantic-suspense novel, Shattered Dreams by Angela Fatig is my go-to read. But, there are many books on my “to-read” list such as, Becoming a Legend by Sarah Robinson, Leaving Time by Jodi Picoult, When There's Smoke by Jodi Picoult, and The Melody Lingers by Mary Higgins Clark. WADIFTS- What is the best compliment you've ever received as an author and the worst critique. Amber McCarty- The best compliment so far has been, "Keep writing because I am in love with your writing". -That was said by a friend of mine. As far as harsh critiques, I haven't had any yet, but If and when it does happen I will use it to improve. WADIFTS- quid pro quo Are you a pantser or outliner? Amber McCarty- I'm a bit of both. It just depends on the story and if I can get it to flow right away or not. WADIFTS- Last but not least, do you have anything specific you'd like to say to your readers? 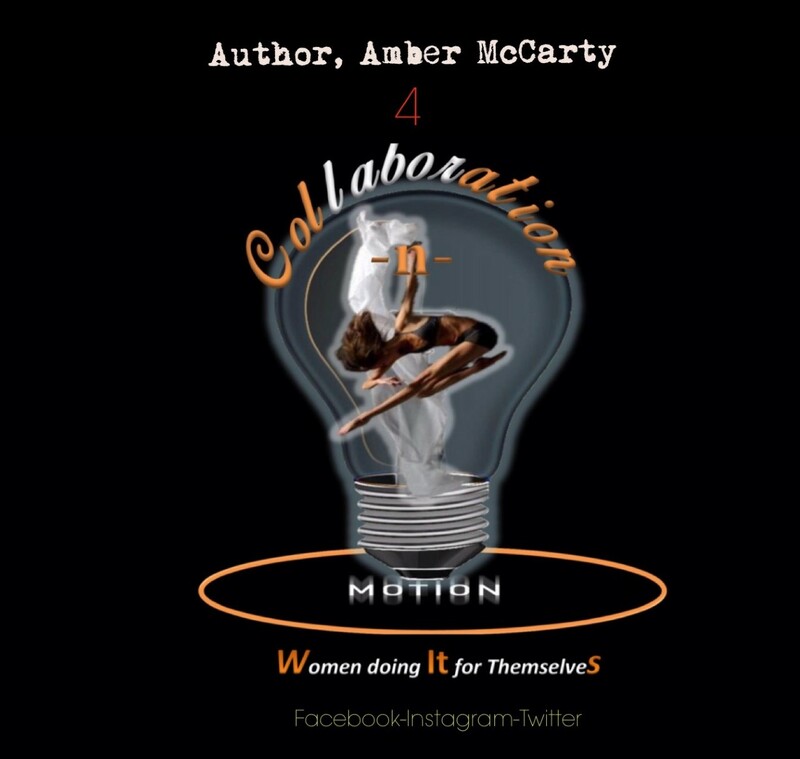 Amber McCarty- Quite humbly- “I’m not sure at this point what to say to my readers except, thank you for taking the time to read my work. *Powerful Proofreading by Debra Smith to name a few. With such strong convictions, we asked Carol just what was it that inspired her to become a writer? WADIFTS- It’s one thing to write recreationally, but quite another to share your gifts with an audience. What made you want to become a writer? Carol Ann Kauffman- I used to write little stories using the week’s spellings words for my first grade class. Following would be a list of comprehension questions. This activity whet my skills to pen a few children's stories about a talking elephant named Captain Packy. But I didn't know what to do with them when they were done, so the manuscripts sat in a white bankers box in my office. A relative who needed a home moved in with me and used my office as a bedroom, so the box of Captain Packy stories went to the basement. The basement flooded. The box was soaked. Back then, there were no digital back-ups. The visual image of that box of floating manuscripts in the basement stuck with me. (Don’t feel bad, they weren’t that great.) I vowed the next time I would DO something with them. Many years later, after retirement, after my mother passed away, I started to write down a few scenes for a book for grown-ups. After I had a few substantial scenes, I began to weave them into a story. Soon I had a full-length novel written. WADIFTS- quid pro quo: Are you a pantser or outliner? 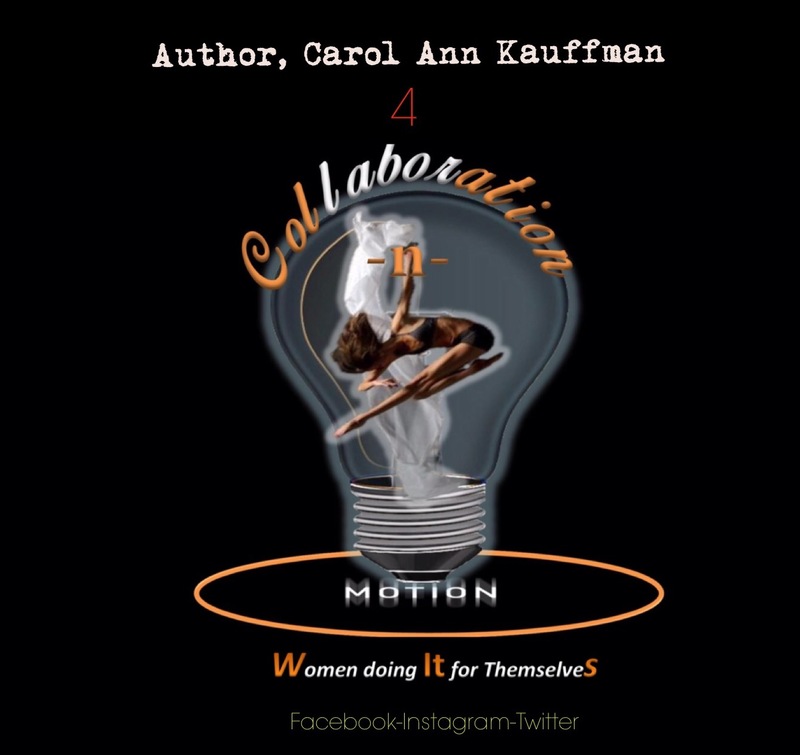 Carol Ann Kauffman- Both! I outline the big picture, sometimes only five sentences before I begin to write, and they I just fly with it. WADIFTS- I bet you took the industry by storm! Carol Ann Kauffman- Not exactly. I began the query letter process to the big publishers and was surprised how long it took to get an "I loved it but..." letter back in the mail. Six to eight weeks for comments like too long, too clean, or too convoluted. I thought “I’m too old for this!” So in 2011 I decided to do it myself through Kindle Direct Publishing. I have never regretted the decision. WADIFTS- With just under twenty titles to your credit what genres do you write, and is there one that you've been wanting to experiment with? 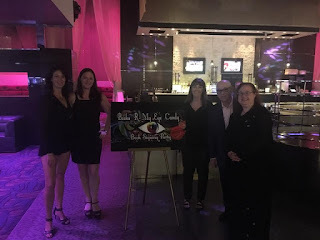 Carol Ann Kauffman- I write romantic contemporary women’s fiction (I don’t dare say “romance” because of what that’s come to stand for lately) and I write mysteries. I have a few that are classified as sci-fi. …As far as experimenting with genres, I have pretty much been experimenting all over the place! For instance, one bizarre storyline entitled, Lord of Blakeley, developed into a time travel novel about a simple farm boy who marries a woman who turns out to be an alien princess, and a jealous man with a mobile transport device who separates them to many different places: a rock planet, a slave ship, 1960’s Chicago, etc. Then our hero gets arrested for the murder of his wife when she disappears into thin air and nobody believes his story about mobile transport devices. And Shakespeare’s in the story, too. Bizarre enough? It’s out now on Amazon in kindle and paperback. WADIFTS- I can see that you’ve found a confident voice in this industry, one that behooves you to branch out-take chances. But, if you could choose an author to be your mentor, who would it be? Carol Ann Kauffman- I would choose M.C. Beaton, the wonderfully talented and prolific British writer of the Agatha Raisin series and the Hamish MacBeth series. I love her writing style. She is a joy to read. WADIFTS- From your list of reviews we know that you have a large and loyal fan base, but have you ever had a particularly harsh critique? How did you handle it? Carol Ann Kauffman- Yes! I have a horrible review on Amazon for MacKalvey House. It is a brutal, nasty collection of barbs. Of course, I felt bad. But I do know my writing won’t appeal to everyone. And no matter how great something is, someone somewhere isn’t going to like it, and that’s okay with me. When this happens, you examine the critique, take what’s constructive and learn from it, and gently step over the hot, steamy mess that’s left and keep on going. WADIFTS- What is the best compliment you've ever received as an author? The one that makes it all worth going through? WADIFTS- quid pro quo: If you were stranded on a deserted island, and you could only have five books with you, what would they be? WADIFTS- quid pro quo: What book or series do you enjoy reading over and over again? Hamish MacBeth by M.C. BeatonAgatha Raisin by M.C. BeatonThe Stephanie Plum series by Janet EvanovichSue Grafton’s Alphabet Mysteries, A is for Alibi, etc., particularly appealing to a first grade teacher. Carol Ann Kauffman- The Cat Collier Winter Mystery Series (January Black Ice, February White Lies, and March Blues) is out now and doing well. Cat is a small town detective with a big city lawyer boyfriend, Carter. I'm working on the Spring Series opener, April Yellow Moon. In this one, Cat's old high school friend Stephanie is missing and Cat and her friend Jean get into all kinds of trouble looking for her. In the meantime, Woolstein, the bad guy, is still on the loose and has found a new way to threaten Carter, and one of Cat's parents ends up in the hospital. I'm also working on the sequel to my sci-fi bestselling novel, Belterra, called Dark Return, where the indigenous race of bat like creatures crawls out of the sea and wants their land back. Neeka is still patching up soldiers and sending them back into battle, and Braedon is once again attempting to save the world by himself. WADIFTS- It sounds so exciting! Do you have any advice for other authors? 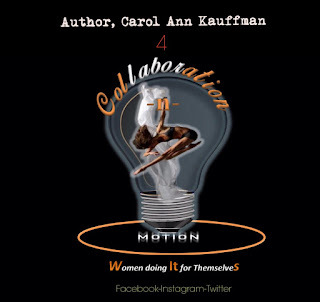 Carol Ann Kauffman- Write. Write every day. Write a book. When you’re done, write another. You can write one really, really bad book. But the next one will be better. Learn not to fall apart when someone says something negative. 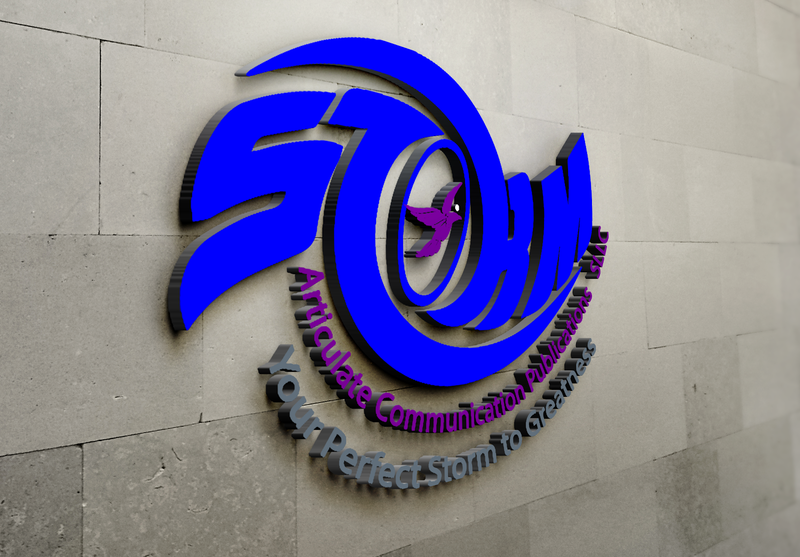 If you can do something else for a living, then do that, because this job is not a moneymaker. If you cannot keep away from writing, no matter how hard you try to crochet and mountain-climb instead, then you are a writer and you should write. Ignore the rules. Write from your heart, your soul, not so much your head. Enjoy yourself. If you don’t enjoy writing it, no one will enjoy reading it. K.K. Harris- Let me start by saying, thank you to all of my fans who support my work consistently; I love you, and it has been an amazing journey! WADIFTS- With so many genres in your literary repertoire, such as urban fiction, Christian romance, paranormal romance, and crime (just to name a few) we are all curious to know, just what inspires you and what is your process? K.K. 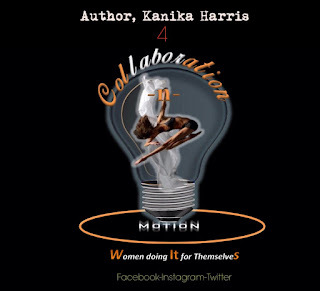 Harris- My creative juices are driven by my imagination and the overall love to create. As far as my process, I would have to say that I am not the traditional outlier. For instance, I can spend a fair amount of time outlining/planning a story and then, just-like-that, change 85% of it before the end! ...So I guess that makes me a bit of a "pantser". To expound, my creative mind is always open to inspiration from different sources-music being one of them- I love Jill Scott and she has this snippet of a song called "Crown Royal on Ice." One day while listening to it, I had a vision of a couples retreat centered around getting to love again. Some pretty interesting happy endings popped off in that tale... After all, If I could choose a mentor, it would be Romance author, Francis Ray. WADIFTS- That sounds intriguing! Aside from that little brain-tease, what are you working on aside from "Through The Darkness-Stories Of Hope"? K.K. Harris- A personal story that I named "Never Enough". It will be seriously deep and possibly a tear jerker- but I have put it off long enough. I also own a janitorial service, but my most important and satisfying occupation is that of mother and wife. WADIFTS- Your life sounds very well rounded and conducive for great story-telling. Speaking of which, are there any stories that you enjoy reading over and over again? "You wrote my life story, I can relate to your characters." ...And selfishly, the stories that I enjoy reading over and over are a set of books entitled, "The Crew Series" which I began authoring in 2013. ...I know how they end, yet, I still cry when my main character cries. Lol... I'm a sap! WADIFTS- If you were stranded on a deserted island, and you could only have five books with you, what would they be? WADIFTS- Have you ever had a particularly harsh critique? If so, how did you handle it? K.K. Harris- I've had, who I considered to be, irrational reviewers who claim another book is better or there were too many errors... I simply responded with questions of my own, like "What were the terrible points? What could I have done different? Point out the errors... But alas, no response. WADIFTS- I commend you're patience and professionalism in those situations. Oft times readers don't realize what you pour into a story. 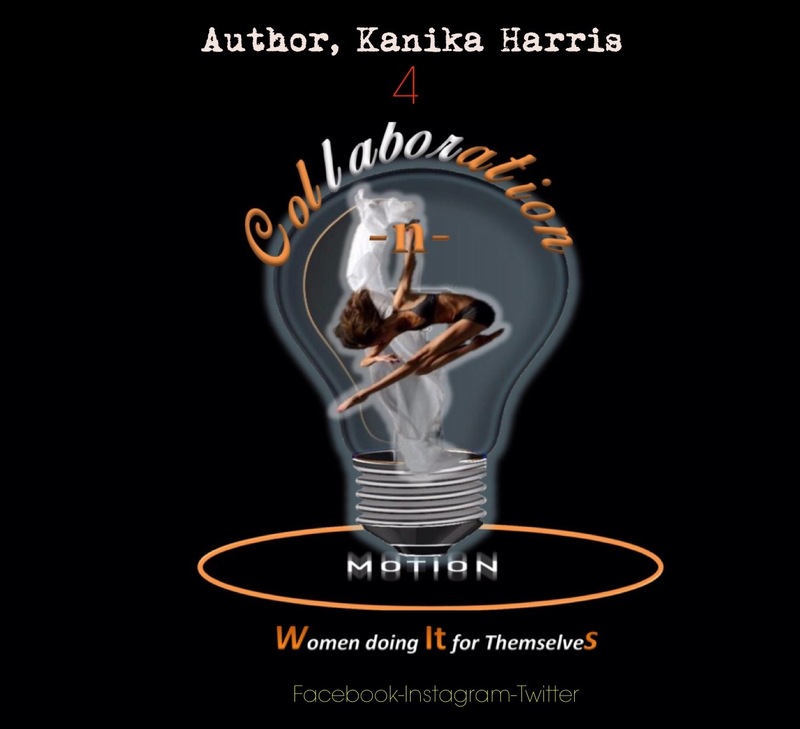 Last but not least, Mrs. Harris, do you have any advice for other authors? K.K. Harris- Grind hard, and when you think you have done enough, grind harder.